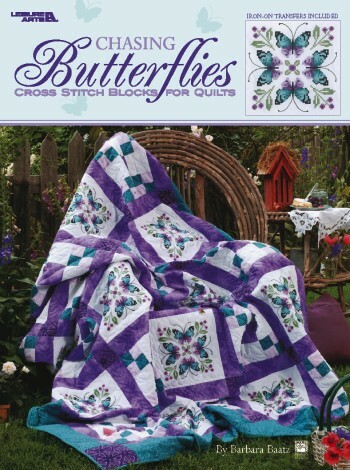 Winged wonders come to life on a quilt made with the art of cross stitch and set with alternating pieced blocks. Iron-on cross stitch transfers allow quilters a choice of background fabrics. Comes with transfers and easy-to-follow quilting pattern. 15-page soft-cover book with transfers.